The Russian Justice Ministry has refused to register the ROT-Front party for the fifth time, according to one of its leaders Sergey Udaltsov. ­He told Kommersant daily that the reason was the party’s emblem representing a fist and the name of the organization, which is homonymous with a well-known confectionary brand. 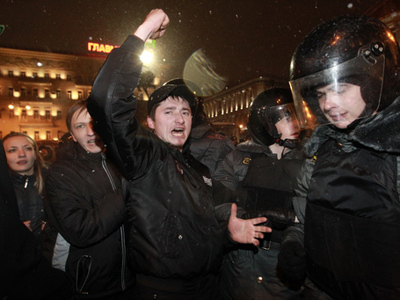 The general director of the Russian Heraldic Chamber Marina Rybak noted, though, that in the Soviet epoch a fist expressed the union of proletariat in the fight against oppression. 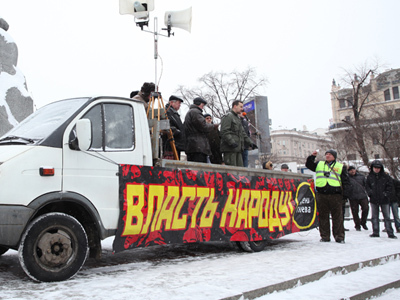 The similarity of the party’s name and that of the famous Rot Front brand is not a reason for refusal, believes Udaltsov, saying that they are spelled differently. He added that they thought about possible confusion and that is why they chose a different spelling. 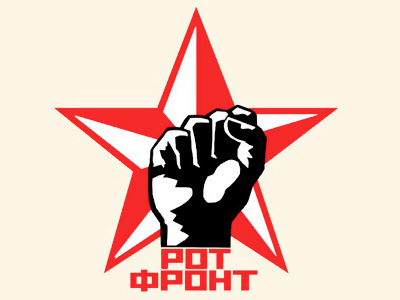 Historically, Rot Front is a greeting used by members of the Red Front Fighters' League (Roter Frontkaempferbund), a paramilitary organization of the Communist Party of Germany engaged in fighting with the Nazis before being banned in 1932. The Rot Front confectionary got its name in honor of the German communists in the Soviet times and kept it until today, with the management deciding not to rebrand a well-known trademark. The new party’s name has apparent connotations of both German communists and the sweets producer but is also an acronym for the Russian Unified Labor Front. Commenting on the decision, Marina Rybak suggested that party founders could have chosen the name deliberately, being aware that it would not be accepted by the Justice Ministry and intending to capitalize on that.